The Gatestone Institute is a New York-based advocacy organization that is tied to neoconservative and other right-wing networks in the United States and Europe. Chaired by John Bolton, a former Bush administration diplomat and a conservative foreign policy hardliner, Gatestone is a clearinghouse for right-wing commentaries on national security, the Middle East, and Islam, as well as a convener of high-dollar events on security and energy issues. It is an offshoot of the neoconservative Hudson Institute. Among its activities, the institute holds what it calls “Briefing Council events," which have included talks by Walid Phares, Charles Krauthammer, Andrew McCarthy, Elliott Abrams, William Kristol, and a host of other well-known right wingers and Gatestone principals. Among its past have been a presentation by Zuhdi Jasser on the “battle for the soul of Islam”; a talk by former CIA director James Woolsey titled “War on America”; a presentation in which Geert Wilders called Islam a "violent ideology that wants to impose Islamic Sharia law on the whole world"; and a 2014 event featuring Woolsey, former General David Petraeus, right-wing videographer James O'Keefe, and a host of conservative activists extolling the virtues of "fracking" for natural gas and oil. A notice on Gatestone's website, which has since been removed, described the events as “invitation only, exclusively for our members,” with a "minimum donation of $10,000 required for participation." Gatestone’s other activities include red-carpet events for personalities like Wilders and policy briefings by sympathetic speakers. The institute has also announced plans to publish books. But the bulk of the organization’s day-to-day output consists of blog posts by Gatestone fellows and likeminded writers offering neoconservative commentary on current events and alarmist dispatches about the spread of Islam. Frequent topics include Israeli security, purported Palestinian malfeasance, Iran’s nuclear enrichment program, and the supposed threat of Sharia law in Europe and North America. Many of Gatestone's commentaries offer standard neoconservative tropes urging a more forceful and aggressive U.S. foreign policy. An April 2014 offering from Elliott Abrams, for example, complained that the Obama administration's foreign policy "really is the foreign policy of Belgium: negotiations, negotiations, negotiations. … What is missing in this formulation? In one word: power." Referring to President Barack Obama and his past affiliations with figures commonly vilified by his Republican critics, Abrams added, "This is the man who learned foreign policy from Rashid Khalidi and William Ayers and Jeremiah Wright. The habits [to be broken], as the Administration might see them, are 'militarism,' 'aggression,' 'Cold War thinking' and an alleged effort to dominate the world, 'Imperialism'—or what many others might call patriotism." Other Gatestone posts have urged a second military intervention in Libya and inveighed against a diplomatic agreement over Iran's nuclear program. Gatestone contributors often espouse views associated with the far right. Posts by Gatestone writers have alleged an impending "Islamic takeover" in the United Kingdom, warned that France is on the verge of "submitting to Islam," fretted that “Islamic Sharia law could easily become a permanent reality in Spain and across the [European] continent,” and accused the U.S. government of "promoting Islam" in the Czech Republic and other European countries. In a 2014 posting, Gatestone fellow Soeren Kern quoted Geert Wilders' quip, seemingly approvingly, that "The fewer Moroccans [in the Netherlands], the better." Kern claimed that "Dutch Moroccan criminals are known to be highly indifferent to sentences in Dutch prisons," concluding that "it is only the threat of deportation, more than any other measure, that is likely to deter young Moroccans from a life of crime." Gatestone's writers take a hard line on the Israeli-Palestinian conflict, harshly criticizing Palestinian negotiators and political authorities and offering support to Israel's right-wing government. When Israel pulled out of U.S.-brokered talks after Hamas and Fatah reached a tentative reconciliation in April 2014, Gatestone contributor Richard Kamp asserted that Israeli Prime Minister Benjamin Netanyahu "had no choice other than to suspend the peace process. … How could he possibly continue to negotiate with an entity that is itself negotiating with a vicious, murderous and unrelenting terrorist group hell-bent on the destruction of Israel and outlawed around the world?" Observers generally credited an Israeli refusal to release certain Palestinian prisoners as part of an agreed upon prisoner exchange, as well as a general Israeli intransigence of settlement construction and other final-status issues, as major factors in the demise of the talks. But Gatestone writers were adamant that the Palestinian Authority, which was created by an agreement with Israel, was to blame. "The Palestinian Authority [PA], meant to be the 'partner' for peace, seems incapable of giving up on the culture of violence, death and anti-Semitism which has always been its trademark," claimed Gatestone senior fellow Douglas Murray. Although the PA's leaders had long recognized Israel's right to exist, and even though many Israeli coalition partners were openly hostile to the creation of a Palestinian state, Murray claimed that "the PA seems no closer than their forebears were in 1948 to recognizing the legitimacy of a Jewish state in the historic homeland of the Jewish people." Gatestone writers have been particularly hostile towards the "Boycott, Divest, and Sanction" (BDS) movement, a nonviolent campaign organized by Palestinian civil society groups and their supporters to pressure Israel to end its occupation of Palestinian territories—in part by urging international cultural figures to refrain from visiting Israel or collaborating with Israeli-financed cultural and academic institutions. In one exceptionally bombastic post, Gatestone senior fellow Denis MacEoin accused BDS campaigners of genocidal ambitions. "This BDS campaign against Israel is dishonest," he wrote. "It tells less than half of a complex story, borrowing Palestinian lies and fables to bewitch unthinking Westerners whose only formula for peace lies in the destruction of the only national home for the Jews, possibly as well as the post-Nazi destruction of the Jews themselves." Drawing a straight line from boycott to Holocaust, MacEoin added, "The Nazis invented the Jewish Boycott, and went on from there to the Holocaust." BDS, he concluded of the nonviolent movement, "supports and rewards whoever works—often through violence—to abolish the state of Israel and then possibly the rest of the Jews." In November 2014, Gatestone published an article from Alan Dershowitz arguing for more congressional intervention in the on-going nuclear negotiations with Iran. “Congress plainly has the power to refuse to reduce sanctions and indeed to strengthen them,” Dershowtiz stated, echoing comments from a host of other neoconservatives and hardliners. “Congress should demand a role in the ongoing negotiations with Iran.” Many analysts have argued that greater intervention in the talks by Congress, particularly through imposing additional sanctions on Iran, would scuttle the entire negotiating process. Gatestone’s president is Nina Rosenwald. Its board, as of 2014, included chairman John Bolton, Georgette Gelbard, Zuhdi Jasser, Lawrence Kadish, Douglas Murray, Naomi Perlman, Ingebord Rennert (spouse of the controversial junk bond investor Ira Rennert), Rebecca Sugar, and Christine Williams. Its European board of governors includes chairman Amir Taheri, Josef Josse, and Anne-Elisabeth Moutet. Gatestone's senior fellows include Arab Israeli journalist Khaled Abu Toameh, European scholars Soeren Kern and Guy Millière, and former Pentagon official Harold Rode, among several others. Amhed Charai, Petra Heidt, Elie Weisel, and former chairman James Woolsey are listed as advisers. At one point Gatestone also listed “Fjordman” as a distinguished scholar, using the pseudonym for Peder Jensen, a far-right Norwegian blogger whose writings were featured in the manifesto of mass-murderer Anders Breivik. GateStone's website lists dozens of other contributing authors, including foreign policy hawks like Elliott Abrams, Anne Bayefsky, Kenneth Timmerman, MEMRI president Yigal Carmon, Alan Dershowitz, Steven Emerson, former Pentagon official Doug Feith, neoconservative firebrand David Horowitz, Hudson Institute president Herbert London, the right-wing NGO Monitor, Daniel Pipes, Emergency Committee for Israel spokesman Noah Pollak, former AIPAC director Steven Rosen, American Enterprise Institute fellow Michael Rubin, Natan Sharansky, Foundation for Defense of Democracies fellow Lee Smith, and anti-Islamic writer Robert Spencer. Gatestone reported approximately $1.4 million on its 2013 Form 990. Max Blumenthal, “The Sugar Mama of Anti-Muslim Hate,” The Nation, June 13, 2012, http://www.thenation.com/article/168374/sugar-mama-anti-muslim-hate#. Gatestone Institute, "Briefing Council Events," http://www.gatestoneinstitute.org/events.php. Ben Jacobs, "Petraeus Will Appear at an Event Featuring the ACORN ‘Pimp,’" The Daily Beast, May 2, 2014,http://www.thedailybeast.com/articles/2014/05/02/petraeus-will-appear-at-an-event-featuring-the-acorn-pimp.html. 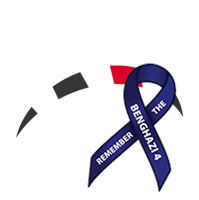 Gatestone Institute, "Events for Members," archived at https://web.archive.org/web/20120324100244/http://www.gatestoneinstitute.org/events.php. Elliott Abrams, "U.S.: The Great Problem That Needs to be Solved," Gatestone Institute, April 9, 2014, http://www.gatestoneinstitute.org/4255/us-foreign-policy-problem. Anna Mahjar-Barducci, "Libya Urgently in Need of Military Intervention," Gatestone Institute, April 29, 2014, http://www.gatestoneinstitute.org/4289/libya-military-intervention. Stephen Bryen and Shoshana Bryen, "Iran Deal: Was the West Skinned?" Gatestone Institute, December 4, 2013,http://www.gatestoneinstitute.org/4075/iran-deal. Soeren Kern, "UK: Probe of Islamic Takeover Plot Widens," Gatestone Institute, April 17, 2014, http://www.gatestoneinstitute.org/4273/uk-islamic-takeover-plot. Guy Millière, "France Submits to Islam," Gatestone Institute, May 12, 2014, http://www.gatestoneinstitute.org/4306/france-submits-to-islam. Spain Submits to ‘Adoption Jihad,’” Gatestone Institute, February 20, 2013, http://www.gatestoneinstitute.org/3595/spain-adoption-islam. Soeren Kern, "US Government Promoting Islam in Czech Republic," Gatestone Institute, April 14, 2014, http://www.gatestoneinstitute.org/4262/islam-czech-republic. Soeren Kern, "Who is in More Trouble: Wilders or The Netherlands?" Gatestone Institute, April 24, 2014, http://www.gatestoneinstitute.org/4285/geert-wilders-netherlands. Rowan Scarborough, “Muslims segregated from French society in growing Islamist mini-states,” Washington Times, January 7, 2015,http://www.washingtontimes.com/news/2015/jan/7/french-islamist-mini-states-grow-into-problem-out-/#ixzz3OejNHNMs. Richard Kamp, " The Fatah-Hamas Agreement," Gatestone Institute, May 1, 2014, http://www.gatestoneinstitute.org/4292/hamas-fatah-agreement. Douglas Murray, "Who are the Victims and Who Are the Victimizers?" Gatestone Institute, April 23, 2014, http://www.gatestoneinstitute.org/4279/victims-victimizers-muslim. Richard Kemp, “Israel’s Security and Unintended Consequences,” Gatestone Institute, October 23, 2014, http://www.gatestoneinstitute.org/4806/israel-security. Denis MacEoin, "BDS Movement: Barbarians Inside the Gates - Part I," Gatestone Institute, May 7, 2014, http://www.gatestoneinstitute.org/4274/bds-movement. Alan Dershowitz, “Will the newly elected Congress push Obama into being tougher on Iran's nuclear weapons program?” Gatestone Institute, November 14, 2014, http://www.gatestoneinstitute.org/4883/will-the-newly-elected-congress-push-obama-into. Eli Clifton, "Beltway Foreign Policy Groups to Congress: Stay Out of the Way on Iran!" LobeLog, October 24, 2014, http://www.lobelog.com/beltway-foreign-policy-groups-to-congress-stay-out-of-the-way-on-iran/. 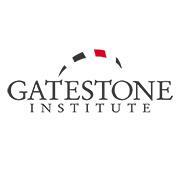 Gatestone Institute, "Distinguished Senior Fellows," http://www.gatestoneinstitute.org/experts/. Gatestone Institute, “About,” archived at http://web.archive.org/web/20130115231434/http://www.gatestoneinstitute.org/about/. Power Base, Peder Jensen profile, http://www.powerbase.info/index.php/Fjordman. Guidestar.org, Gatestone Institute 2012 990, http://www.guidestar.org/FinDocuments/2012/454/724/2012-454724565-099414ff-9.pdf. "Gatestone Institute, a non-partisan, not-for-profit international policy council and think tank is dedicated to educating the public about what the mainstream media fails to report in promoting: Institutions of Democracy and the Rule of Law; Human Rights; A free and strong economy; A military capable of ensuring peace at home and in the free world; Energy independence; Ensuring the public stay informed of threats to our individual liberty, sovereignty and free speech." What is the Tikvah Fund?